It may be a while before winter, but fall weather may already be here! During the next 20-day period in Central Oregon will see wide ranges of air temperatures from 80-degree mid-day to low forties, or even thirties at night. If you are camping bring a wide range of personal clothing designed for protection from sun, rain, and insulation from cold. Items might include a tropical shirt and extra fleece. Bring a fleece liner for your sleeping bag. If the weather turns hot, use it as your bag. If the weather turns cold add it inside or outside your bag. Bring a Buff to protect yourself from both sun and wind. Bring a quilted jacket for evenings in camp and morning fishing. Be sure to have a fresh pair of heavy socks for each day. Check your waders for leaks, and your wading shoes for missing studs. A pinhole seeper in your waders in August may be refreshing, but in late September can become very uncomfortable. Likewise, missing or worn out studs can mean a dunk at the most inopportune time. Water temperatures are dropping in the Columbia River, and both steelhead and Chinooks are moving over the Dams. It is likely that the water temperature in the tributaries will drop 5-10 degrees during the next 10-20 days, it has done so before during this same time frame. If this happens, there will be a push of steelhead into all of the mid and upper Columbia tributaries, (at least it has happened in the past). Anglers could experience a very good bite. Bring all your favorite summer steelhead 6, 7, or 8 weight stuff. Fall Chinooks are on the move and if you fish the lower 25-miles of the Deschutes, you will be surrounded by 20-40 pounders. If you haven’t hooked one of these guys, you have never before encountered the baddest of the bad asses that swim in fresh water. 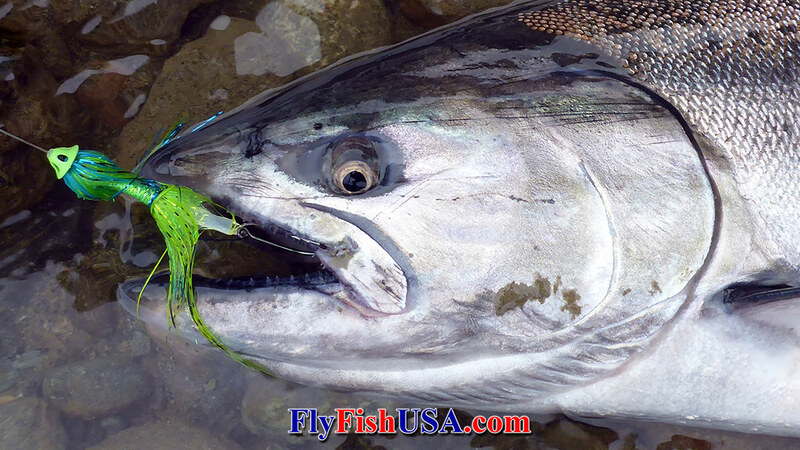 Rods and reels designed for Alaskan Kings will be the appropriate gear. Ten-weight Spey gear is just right in case you feel adventuresome. 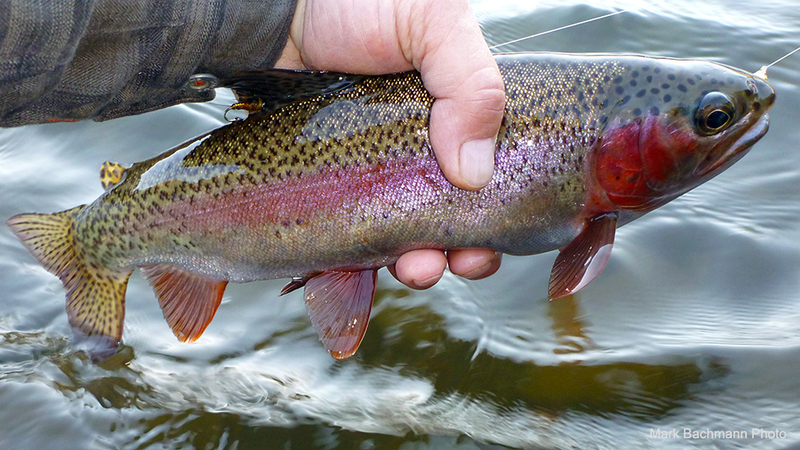 Trout wake up and start feeding heavily as the water temperatures cool down in the fall. They feed at all levels. Big trout feed on big bites. A three or four weight Spey setup is a lot of fun for fishing streamers and crayfish flies. Mahogany duns, Baetis mayflies, and various caddis can create some of the best dry fly fishing of the entire year. Watch for spawning salmon. Trout will station behind them and target drifting eggs. 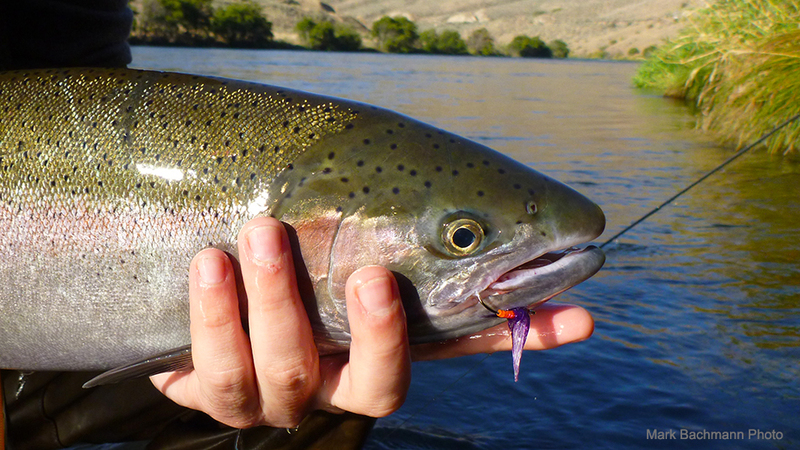 Crowds melt away from the trouty spots as anglers become obsessed with anadromous fish. Camps need to be more secure during fall months. 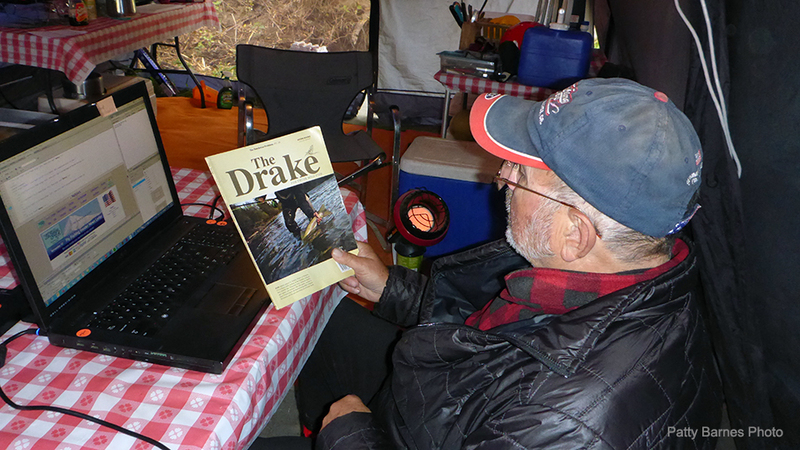 A nice dry tent, complete with a heater is a great place to relax and let the creative juices flow, or just kick back and simply read and relax between fishing sessions. The graveled roads can change as fall rains set in. It may be time to change to your winter tires and check your chains. Allow yourself lots of travel time. Any questions, please don’t hesitate to call my cell, or email the shop.